Does your organization want to take staff to the next level? Challenge: Working effectively in an organization takes the hard skills to do the job, but it also takes the more nuanced skills of self-awareness, dedication, and a growth mindset. None of this is easy as a seasoned professional or a new hire. The Solution: We provide professional development and individualized coaching to transformational community leaders, reflective educators, and the next generation of innovators. Trainings provide skill development and new perspectives about work, while 1:1 coaching sessions offer individuals the opportunity to grow their personal leadership style and design their impact. Are you in need of a facilitator for your next meeting or planning process? Challenge: To build your organization's capacity to manage change, design creative solutions, and lead more effectively, you need processes that inspire innovation and new insights. The Solution: In addition to our core work of guiding strategic planning processes and coaching leaders, we offer a full line-up of facilitation services rooted in emotional intelligence and deep listening to help you achieve your goals. And if you're looking to strengthen the facilitation skills within your organization we offer training and coaching specifically for that need. 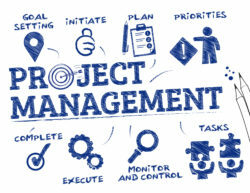 Is your project in need of innovative design and solid management? Challenge: With the demands of everyday work, it's not easy to know the best path forward for particular initiatives, or to even take the time to think through and design the best strategy for a project. The Solution: Our patience, creativity, and execution of the most essential tasks at the most essential time, allow us to guide projects that are off-track or not quite working to the successful implementation you need. Is your organization considering it's next strategy? Challenge: It's easy to become comfortable with the way we already do business, or the way that we think we should do business because that's what everyone else is doing. Looking to the future takes time, a careful process, and a willingness to bring together your vision, strategy, and leadership capacity. The Solution: We help organizations design one-year strategy sprints, or three to ten-year strategic plans. Our design thinking methods help you increase your brand visibility, refocus your mission, and increase your client or membership engagement. This is strategic planning that helps you break through and not only flourish, but become a leader in your sector, defining the next movement forward. Organizations risk stagnating. 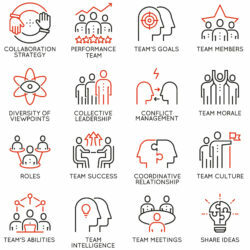 Inundated with the day-to-day operations, leaders find little time to brainstorm new and innovative ideas to keep themselves and their organizations on the cutting edge. Or the ideas flow, but leaders can’t find the time to create thoughtful strategies to implement changes with the necessary support of stakeholders. And then sometimes there’s the challenge of seeing so many different possible directions to take that leaders feel lost in the shuffle and haze. Just a little bit of clarity would help. We’re ready to build capacity within you as a leader and with your organization to align your vision with an innovative strategy that will work for your organization. Let’s define your challenges, design your goals and break through in 2018. — By using design thinking concepts, we help you clarify your vision, making sure it’s crystal clear and that it makes sense. — Together, we’ll build a strategy that carefully identifies the key steps you’ll implement to reach your objectives. We’ll ensure that you observe your particular context, ask a lot of pertinent questions, gather the strongest team, and reach your full potential as an innovator. What matters most right now that you are ready to accomplish? — We’ll analyze that strategy, recognizing that sometimes it’s not about overhauling the whole direction of the organization, but about creatively managing one area of work to achieve your goals. We’ll spend time determining which steps in your strategic plan are most essential. What matters to your community and how will this impact them? What matters most right now? I would highly recommend the Rocky Mountain Innovation Lab: Matt has the ability to listen intently, ask the right follow-up questions, complete thorough research and find the best path for success on a project. 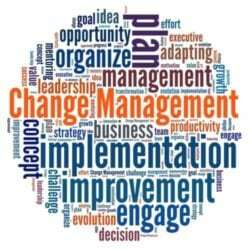 — Through our Leadership Coaching we stick by you, helping you implement the plan and manage change effectively. You already have the creative skills necessary, our process engages and focuses that creativity into a strategy that matters.